I am writing to you out of concern about statements you have made on social media about our charity which are misleading and injurious to the reputation of Life. Referring to our presence at the Lambeth Country Fair and our subsequent removal you claimed on Twitter on July 22 at 2.44 AM that Life “wasn’t officially allowed. They were not on the approved list of exhibitors, we tried to get them removed and will make sure not there today”. This was clearly untrue. We applied in January 2018 and three months later in April 2018 our application was approved stating “that we had been selected to exhibit”, clearly denoting a process of review and due diligence had been undertaken. We paid a fee and were on the registered list of exhibitors. Your tweet, which has been widely reported in the national press, gives the impression that Life turned up without authorisation and set up a stall which was later removed. 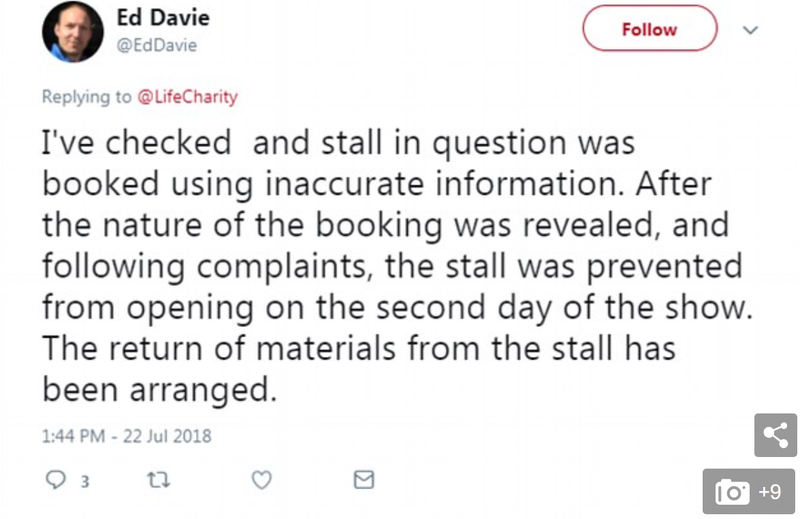 On the afternoon of July 22 at 1.44 PM you said on Twitter “I’ve checked and stall in question was booked using inaccurate information. After the nature of the booking was revealed, and following complaints, the stall was prevented from opening on the second day of the show…” Life was very open in our application and provided information about who we are as a charity and pictures of previous similar exhibits. In our application we clearly stated “Life charity is a pro-life charity…” We therefore take strong objection to your remark, also widely reported in the press, that we booked using inaccurate information. It is not clear how you missed this when you “checked”. Please write to us stating clearly what “inaccurate information” Life provided to the organisers of the show. If you are unable to state what this inaccurate information is, please issue a public statement retracting your remark that we provided inaccurate information. 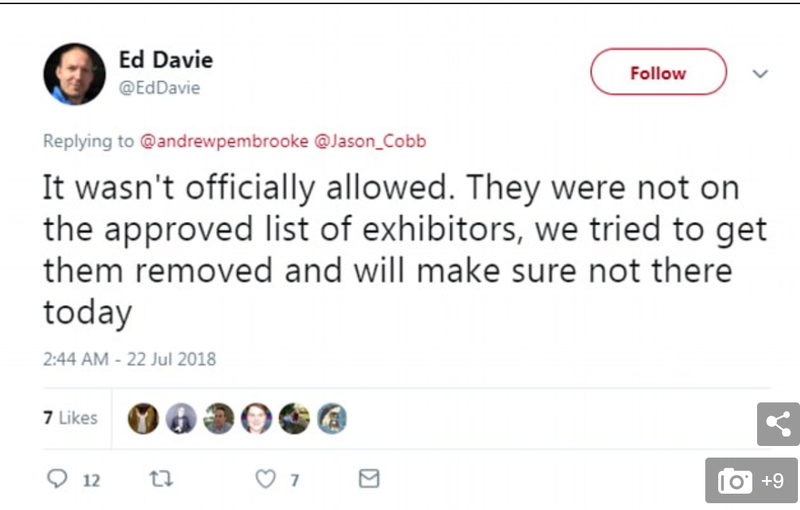 Please issue a statement correcting your remark that Life was not on the list of exhibitors. This has already been established to be untrue. Please issue a public apology to Life for the damage caused by your remarks. How much money does the Labour Party receive from BPAS or Marie Stopes?